LG of South Korea bucks controversy and builds Chevy Volt batteries – in Michigan? LG got into a bit of trouble last February when it had to return some $842,000 to the federal government that I had received as part of a $150-million stimulus. The reason? A U.S. Energy department audit concluded that the company wasted federal funds, failing to produce batteries in Michigan as promised. Denying it wasted funds, LG is nearly ready to begin lithium-ion battery production in western Michigan as soon as July, according to the Detroit Free Press. Where will the first batteries to roll off the line be headed? 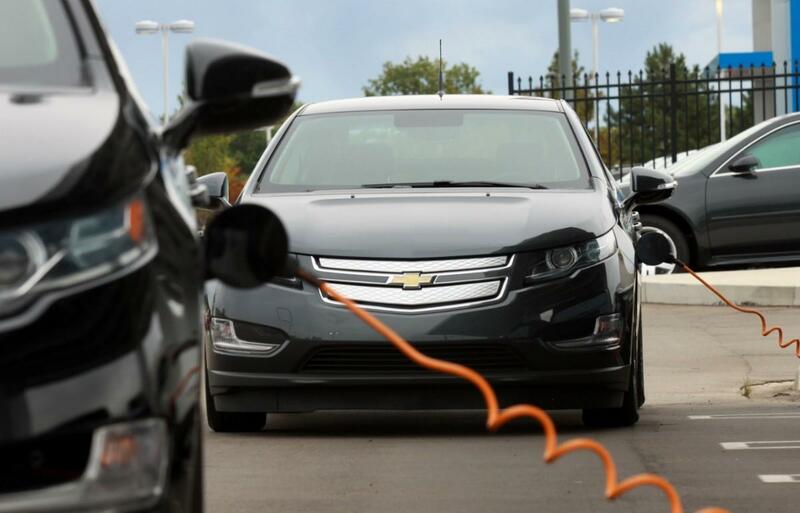 Why to none other than the assembly line of the Chevrolet Volt extended-range electric vehicle. “Our plan is to operate the Michigan plant as a strategic location to meet customer needs, secure future orders and compete aggressively in the … battery market,” Sain Park, president at LGCMI, said in a statement. But this doesn’t end the controversy surrounding LG and the plant, which gained notoriety after President Barack Obama attended its groundbreaking ceremony. Bill Huizenga (R-MI) called the partially government-backed factory a “flawed program,” according to MLive. We’re going to keep out of the politics surrounding this story but we’re glad to see made-in-America batteries in the Volt regardless of the controversy surrounding their manufacturer. A foreign company using US funds to make batteries in the US for US-made cars? Shenanigans or just how the global market works? Leave a comment below.